Being a locally based manufacturer gives Artsaics the capability of being as flexible as the industry allows, while guaranteeing competitive lead times. The opportunity to customize your design is endless between the vast options of stone selections, mosaic designs, or even in selecting materials. 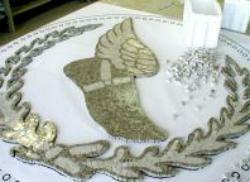 Our team of well experienced mosaic designers will assist you from design concept to production.